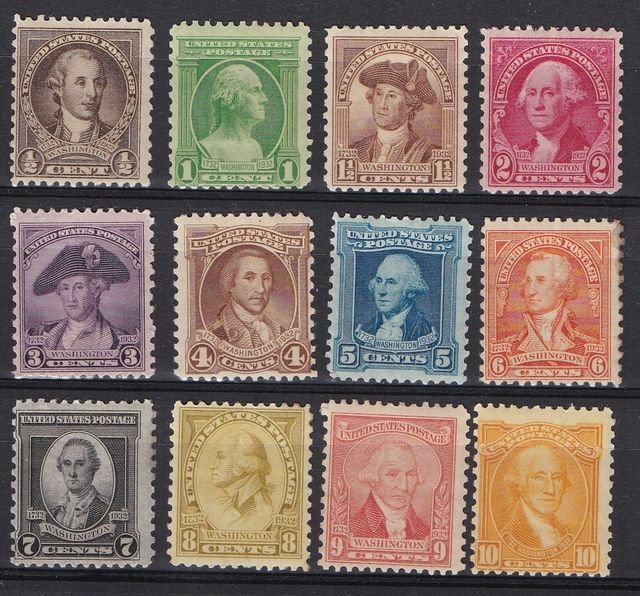 This is a Mint Light Hinged Complete Set from the USA issued in 1932, #704-15. This set celebrates the the 200th birthday of George Washington. It features various portraits of him throughout his life.